THEYA Lingerie, a new Irish textile start-up, has launched an innovative range of post-operative lingerie suitable for women who are recovering from breast cancer surgery, cosmetic surgery and/or undergoing radiotherapy treatment. The company was established by Ciara Donlon and is headquartered at NovaUCD, the Centre for New Ventures and Entrepreneurs at University College Dublin (UCD). An Enterprise Ireland funded company it also has an office in the UK. 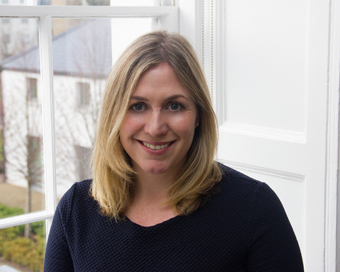 Ciara is a businesswoman with over 15 years’ experience working in corporate sales and marketing roles. Five years ago she established her own lingerie boutique. However, it wasn’t long before she identified a gap in the market for a specific type of post-surgery lingerie and THEYA Lingerie was born. Ciara works with Kelly Lakin, an experienced lingerie designer, who shares her desire to bring a new lingerie product to market. The company’s lingerie range has been designed to be wire and seam free allowing for comfort and non-irritation to sensitive areas. The company also uses OEKO-TEX® certified bamboo fabric in the manufacture of its products which is soft and gentle on the skin, thermally regulating, 300% more absorbent than cotton and wickable. In addition the bamboo fabric has anti-bacterial properties, which assist with the healing process. The company has also announced the commencement of a clinical research study in conjunction with the ARCH (Applied Research in Connected Health) Centre at UCD, the Beacon Hospital and St. James’s Hospital. This study will involve the company working closely with women in both hospitals who have undergone wide local excision breast conserving surgery, as well as women who are undergoing radiotherapy treatment. THEYA Lingerie products can now be purchased directly via the company’s website or through a number of independent lingerie stores across Ireland. It will also be available in Arnotts, Dublin later this month.